The Muddler on a Salmon double is a proven waking fly. Wake Fly Fishing is a technique that can often be used for late summer run fish that are more active on rivers and the lochs of Scotland and Ireland. The fish need to be undisturbed to come up to the fly, but when they do, it is heart stopping time. 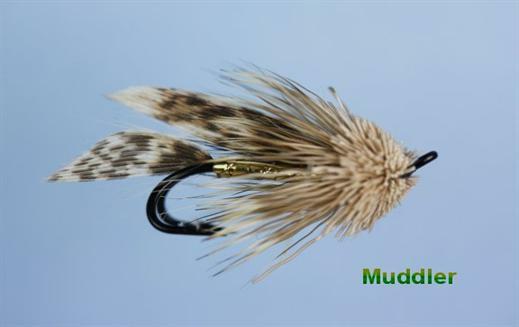 Currently there are no comments about the Muddler fly pattern from other fly fishermen yet.